Enhances effectiveness of infertility treatment in females. 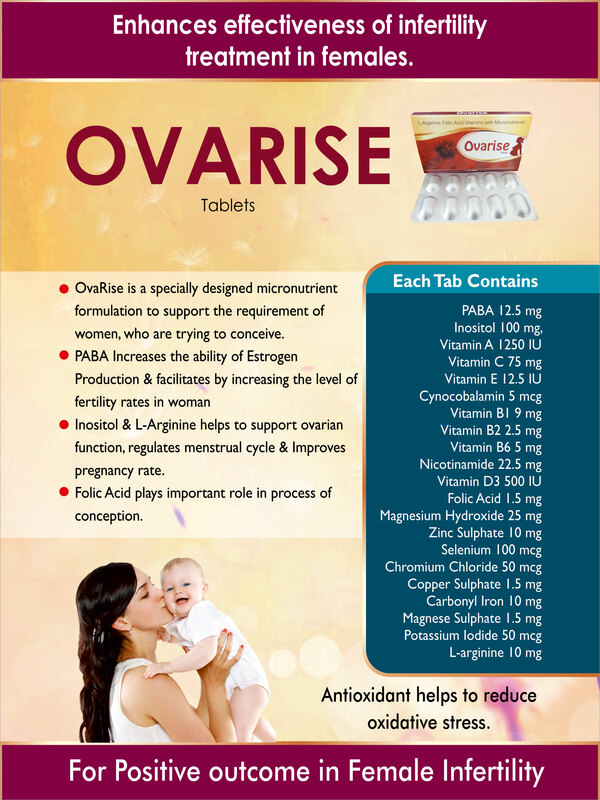 OvaRise is a specially designed micronutrient formulation to support the requirement of women, who are trying to conceive. Inositol helps support ovarian function and restores menstrual cycle. 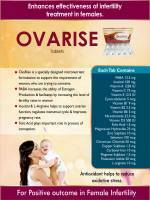 L-Arginine improves ovarian function and pregnancy rate. Folic Acid plays important role in process of conception. Antioxidant helps to reduce oxidative stress.